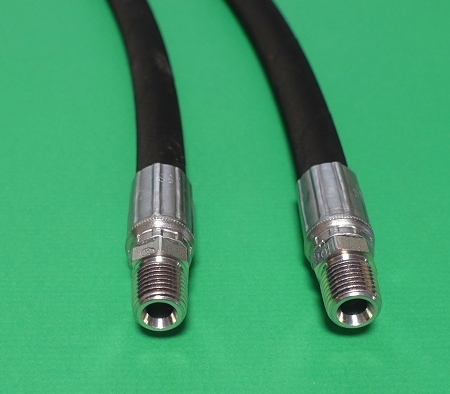 Hoses come with PTFE paste for proper installation of your male couplers! 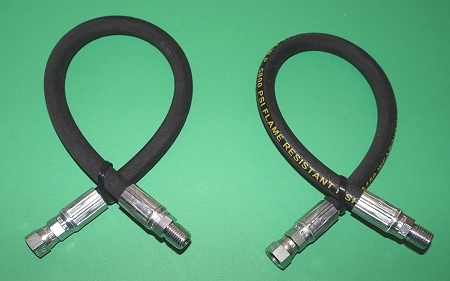 This replacement hose assembly is a premium length as compared to the original hose. Our hose is 19" overall as compared to the original length of 18" overall. THIS HOSE CAN BE USED FOR EITHER LIFT OR ANGLE PER ORIGINAL SPECIFICATIONS. HOSE ASSEMBLY MADE IN USA FROM USA SOURCED COMPONENTS. JD part number for the hose is: AM31363. Check your parts books, this hose is used on many implements and many places on the tractors. This is for TWO hoses only as pictured above. 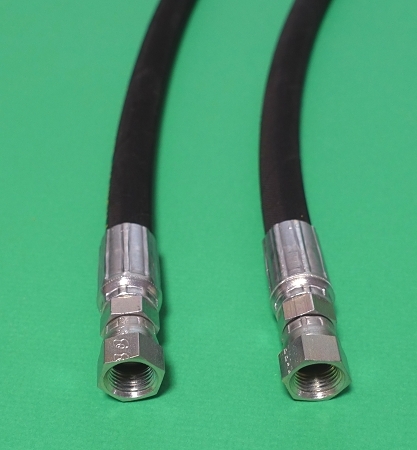 If you want the angle hose kit with male quick couplers and fittings, see here.